Amen to that quote! And it seems to be getting worse some days as like-minded people follow like-minded news, have opinions reinforced by like-minded people on various social media sites, and consider news to be reported in 140 characters or less . . . 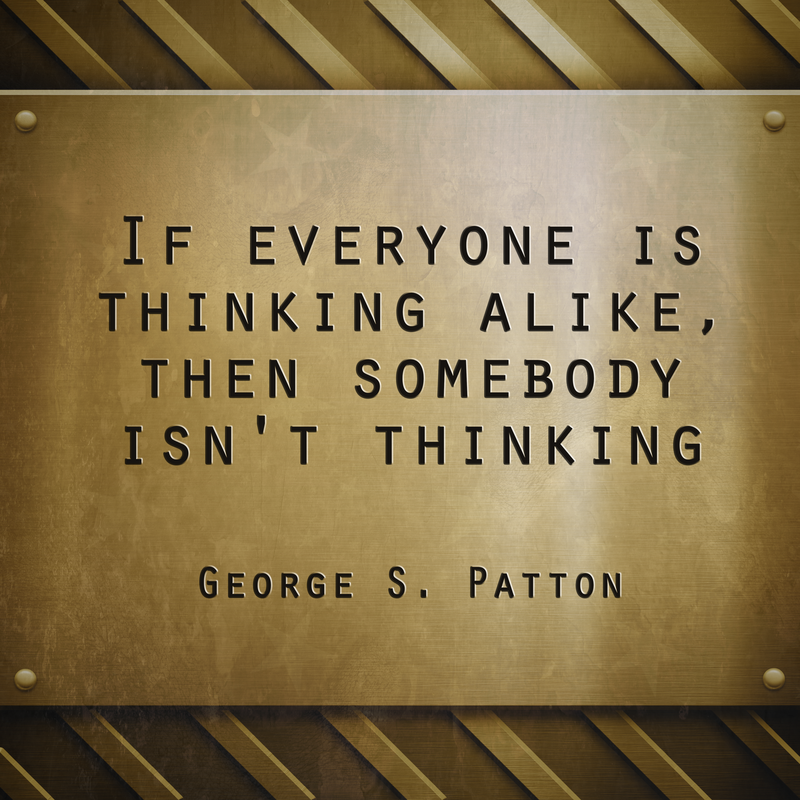 Strikes me odd that Patton would say that–isn’t single-mindedness a core value/expectation in the military? I thought having your own opinion was frowned upon. Or maybe I have my Pattons mixed up? It is a little away from the expected but then Patton did have some ideas/did a few things that were out of the box for his times!